Amazon deals are being re-loaded today! AMAZON BLACK FRIDAY FOODIES HOUR STARTING 7PM TODAY! The Early Learning Centre have just announced their 5 day event, in which ALL toys have 20% off, this is an amazing deal! Amazon Black Friday deals 7pm today is family hour don’t miss out! 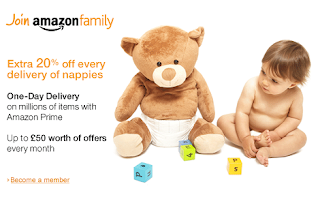 Today amazon are having a family hour starting at 7pm as part of their Black Friday Deals week. The black Friday deals always go quickly due to the great reductions, so be prepared …..follow the links below to all the deals set yourself a reminder and be the first in the queue! There are some good deals coming up on Amazon’s Black Friday week today, these are selling out fast so be one of the first in the know to grab a bargain!!! Separation anxiety is a stage that most children at some point will go through, the heartbreaking screams and cries when mummy or daddy leave(sometimes just the room), and the constant reassurance us, as parents need to give our children that we will come back in a little while. It really does show you how much you mean to them and that they think their little world is empty without you. So we have to put on our bravest smiles and gradually encourage our children to be independent and introduce them into the big wide world. I remember my heart breaking in two the first time Joshua cried when I went to answer the front door and he thought I was leaving, his little face dropped and that bottom lip well and truly wobbled. Over the few weeks and moths that followed I showed him that Mummy would always come back and that he didn’t need to worry. Before I knew it Joshua’s first day at pre-school had arrived and I felt he was as prepared as he could be, he looked so little in his big coat and with his little packed lunch. I just hoped and prayed he would be okay. So when we walked in and before I had even finished saying hello to his key worker, he had sauntered off, to play without me I was devastated. My little boy wasn’t fazed at all, in fact I struggled to even get a kiss goodbye. The bus journey home on my own was odd, and very quiet, and between the tears I’m pretty sure I heard someone say “ don’t stare at the lady sweetheart she’s a bit funny!”. I should have given myself a pat on the back for doing such a good job with Joshua, from that very first day he never looked back, he was and still is a confident happy little boy. 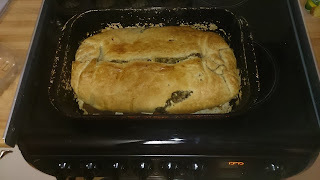 But all I could think was that all the preparation was aimed in the wrong direction! Mummy needed the reassurance. Isabelle is my baby, she is my last child the youngest and my best friend. In the two years and six months since having her we have been apart for only a few hours. As a work from home Mummy, I do not need childcare and we spend all of our time together. She is my wonderful little shadow, and she is emerging to be just like her big brother, very happy and confident. But my Belle is also very different, Joshua spent more time apart from me as a baby and toddler and Belle knows we go everywhere together. Any time we spend apart if brief and she is with daddy or close friends that she has known all her life. She is starting to get upset if she can’t see me, and if I pop to the shop while a friend watches her, I can hear her screaming “mummy” all the way there. She has never been looked after by a stranger not even for a minute. Isabelle will be starting school next September and while I am eager for her to gain her independence and make new friends her own age I am very nervous. Both me and Sean are unsure how she will react, or indeed how to prepare her. But more than anything I am really really not sure how I will cope without her! I cannot remember what being without her is like, and aside from having time to myself I am not sure what I will do with myself. Sean told me today that he will be taking her first day at school off, not only to be part of such a milestone for Isabelle but also to pick me up and console me. I know this sounds utterly ridiculous and as a grown woman I should woman up but, I have been through so much as a mum and a person since having her that my life really is totally different now. I guess the next few months both Isabelle and mummy will be going on a little journey of independence and discovery, and I hope that we can both be brave and get through it unscathed. Are you ready for your little one becoming their own person ? 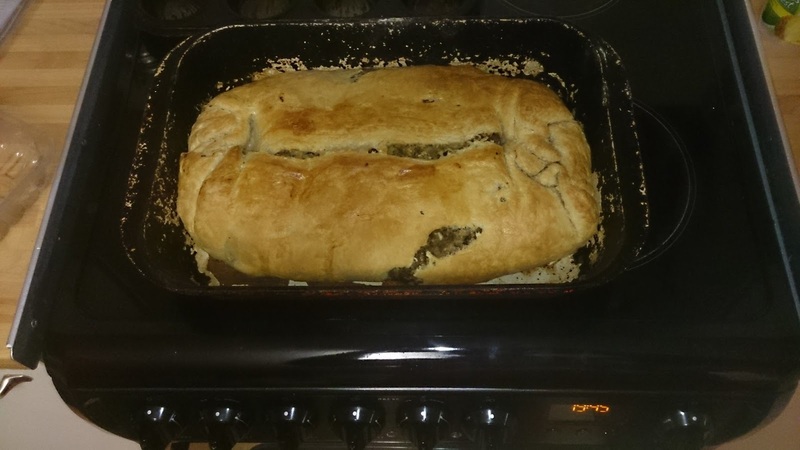 Not sure I am just yet……. Parenthood really is life altering and I wouldn’t swap it for anything, but my goodness it is scary! Following on from our other gift deals for Dad’s, older children and babies and toddlers today we have put together a offers post for mum’s. Christmas shopping - if like us you have someway to go here are some great Amazon offers to help you on your way……. The build up to Christmas can be a little stressful and we sometimes forget ourselves while shopping so I will also post some great offers for mummy and daddy too, I’m sure we’ve all been extra good this year and deserve a little thank you! As always these offers will be time limited and with ‘Black Friday’ fast approaching I guess may end around then. I have plans to ship the kids off for the day on Black friday so I can update as often as possible with some awesome discounts both on here and facebook and twitter, please add or follow us to be kept up to date. We also have a few new product reviews just waiting to be posted and as always we try to review what you are looking for, to be honest our to do list for that is growing and after Christmas will explode with all that Santa brings, busy busy busy just how we like things. Not normally something we look for but Dads deserve a treat at Christmas too, famously harder to buy for and usually ending up with the standard socks and hankies. Let’s break the mould this year and get him something he really wants, here are some great offers that may just give you some inspiration. No.1 in the best sellers on Amazon. Usually selling for £6.35 they are currently £4.49 which is a discount of 29 %!!! currently £8.00 usually £11.99 which is 33 % off! The LeapFrog Read with Me Scout and Violet toys are also on offer for £12.00 a great big 40 % off the usual retail price. This is usually £12.86 but with a whopping 70 % off at the moment it is now £5.19!!!! These great offers will be time limited(sorry not able to find out when they run out) so buy now to avoid disappointment. Voucher incentive for breastfeeding mums a step in the right direction ? Sheffield University have announced today, that they will be running a pilot scheme where mum’s who breastfeed can get up to £200 in vouchers. #breastfeeding is currently bouncing back and forth all over twitter, so what do you think about being paid to breastfeed? Our weekly trawl for great deals and offers has found some great deals on toys and all things for your little ones, here are the best around this week. These as always time limited so catch them while you can………..
Parents of children aged between 24 months and 4 years have been invited to have their child vaccinated against Flu this year. This is the first stage of a vaccination programme that will over the next year or so see all children between 2 and 17 being vaccinated yearly. While this will give the cases of flu a kick up the bum, by reducing the spread through children, I can’t help but wonder how informed we are as parents? As with any new vaccine, it has to be licensed to be used in the UK. And the flu nasal vaccine has been successfully used in the US for the past ten years. So reassurance that this vaccine is safe and fully tested is good, however parents myself included seem to be a little misinformed over this new vaccine. Previously the vaccine was in the form of an injection and as a Mum I know I always dread my little one’s having to have them, so a simple nasal spray is a great idea. My son was petrified of the doctor after his last set of immunisations, and I’m glad that until Isabelle is ready to start school she will hopefully not have to experience the distress injections can cause. I was invited to book Isabelle in to a clinic for her vaccination a couple of weeks ago, and thankfully she wasn’t bothered at all about it. The letter sent to me was very basic simply asking us to call to make an appointment, sadly no information on the nasal spray or indeed that all 2-3 year olds would be getting them this year. I had to assume that the information would be given to me when we went to the appointment. But we were in and out of our appointment in around 1 minute and other than being asked if Isabelle was okay to have eggs and if she had a cold, her vaccination went ahead. I guess I didn’t really think about it until later in the day, when I realised I didn’t know anything about what she had just been given. I was told that she would need to go back in four weeks for a booster of the vaccine and an appointment was made for her. We were not given any further information about possible reactions or how to treat them. I am sure I am not alone in not being given any information about this, as when discussing this with other parents I discovered that not everyone was being asked to go back for a booster. There seemed to be a lot of conflicting advice given to parents and virtually no information about the vaccine itself. Initially I wanted to do some research to find out exactly what the correct dosage should be and also if there was anything I could find out about the vaccine. What I have found has answered these questions but sadly created new ones and I have found some quite worrying information along the way! The vaccine recommended for this years programme is called Fluenz and has as I said earlier been used in the US. Dosage – I looked at several websites to try and find the dosage guidelines thinking that I would find a definitive answer but what I found was rather confusing………. - The Fluenz website, The European Medicines Agency website, netdoctor.co.uk and a company that manufactures the vaccines all clearly state that a second dose 4 weeks after the first is needed. - patient.co.uk said that a second dose is not needed unless the child being vaccinated is in a clinical risk group (more on that later), Public Health England said no second dose and so did the gov.uk website. Why is there so much conflicting advice? Surely the advice should be the same? After more hours looking on the Internet and reading a lot of guidance notes for professionals I finally found what I needed to know. In a nutshell the manufacturers recommend two doses of Fluenz and this seems to be what was passed on initially to GP’s. The government have taken the advice of the Joint Committee on Vaccination and Immunisation (JCVI)., who have said that a single dose should be given. So if like me you were advised to go for a second booster it won’t be given. I have actually since received a letter from my GP saying that in fact my daughter does not need a second dose. While trying to find an answer about dosage I found lots of information on potential side effects on Fluenz, and as I wasn’t given this information at the time but would have liked to know I want to share it with you. A lot of this may not mean anything to you unless it affects your child but may be helpful. I was personally not asked about any of the above. But I would think people who have a child that any of the above apply to would like to know. On further investigation I found that anyone receiving chemotherapy should not be in close contact with a child who has recently had the vaccine, with all 2-3 year olds being offered the vaccine i would imagine this could apply to quite a number of people. This sort of information I would think may not be on a child's medical records? There is as with all vaccines a small chance that your child could have a severe reaction and usually parents are asked to wait in the doctor's surgery for at least 20 minutes after. This was not possible after Isabelle's vaccine due to the sheer number of children being vaccinated! I feel we as parents should be better informed about what is being given to our children, and sadly this was not the case with this years winter flu vaccine programme. I hope that the information given on here has helped a bit if you were looking for further/some information about. I am in no way a medically trained person and the information given in this post is taken directly from websites and documents that are easily found on the Internet. This is a great travel cot that is easy to put up and folds away very small so great for holidays or if you have limited space. 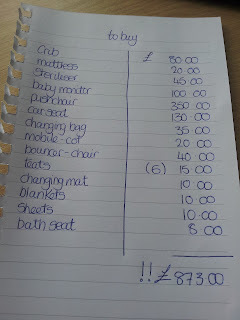 Buying a car seat for your child can be very confusing, having looked around the internet for an easy to follow guide I came up with nothing, so this is my guide to car seats. Car seats which one ? to help with choosing your child's car seat we have put together a comparison table, it shows you all of the features of each seat, price and the star rating other customers gave it. We bought these for Isabelle's first Christmas when she was 5 months old. They seemed to be a toy that was always everywhere we went, playgroups, doctor's waiting room etc, so thought they may be a good choice for her. Have you heard about Amazon Family? Amazon family has lots of great benefits for it's members, which includes great deals on savings for your baby essentials. 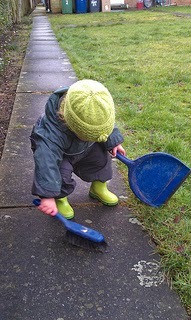 Giving your toddler little jobs to do around the house is a great way to encourage them to be independent, and will build their self esteem. Having a little helper around the house may mean that you have to follow them around and re-do what they have done but at least they are helping and you are teaching them valuable skills in helping themselves. 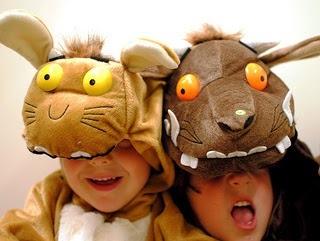 Unstructured play is more than just leaving your child to get on with it! Anyone with children will tell you when a child is being quiet it is a sign that they are amusing themselves, while this usually means drawing on your favourite wallpaper with a pen or using their juice as a television cleaner it is actually a good thing. The past two years in your child's life have seen them develop and grow at an amazing rate. Each and every thing they do and experience is forming skills that will stay with them for life. 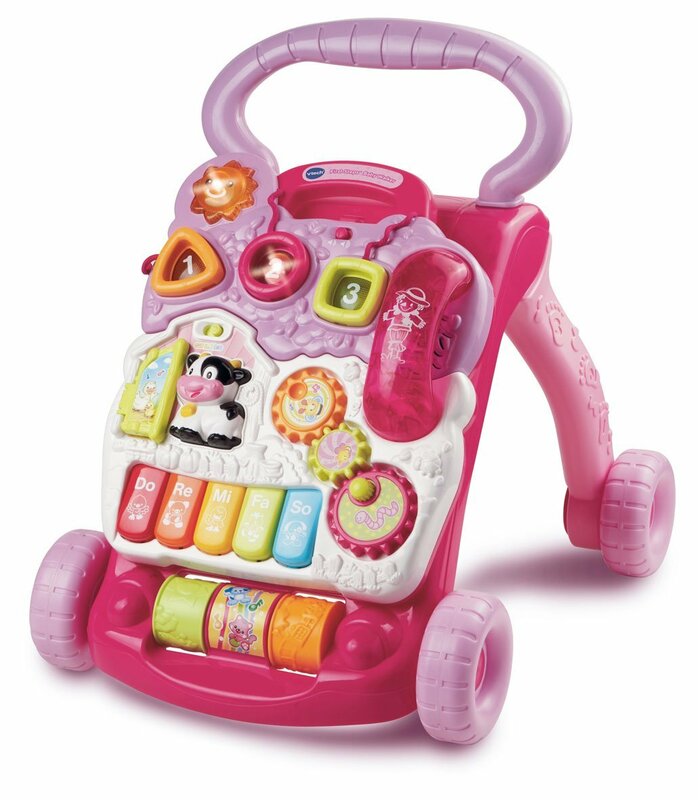 The Vtech first steps baby walker was on Isabelle's 1st list to santa. I had read great reviews about it and a lot of people I knew had recommended it to me. The Fisher Price rainforest jumperoo is a baby jumper with a difference, it is free standing so no need to hang from a door. Getting Joshua to eat anything not sausage or bean shaped is a mission. Until he was about three he would eat anything given to him, and then he got an opinion and it was that he hates anything remotely healthy or vegetable looking. So Sean and I are always trying to think of ways to stop table tantrums and get some goodness into his meals. A friend of mine shared a recipe on facebook for hot dog spaghetti that I thought was a great idea. 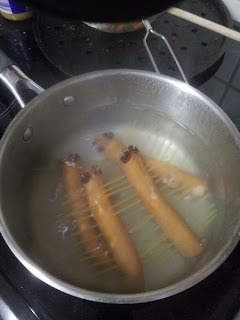 Sean however wanted to take it up a notch and created hot dog caterpillers. 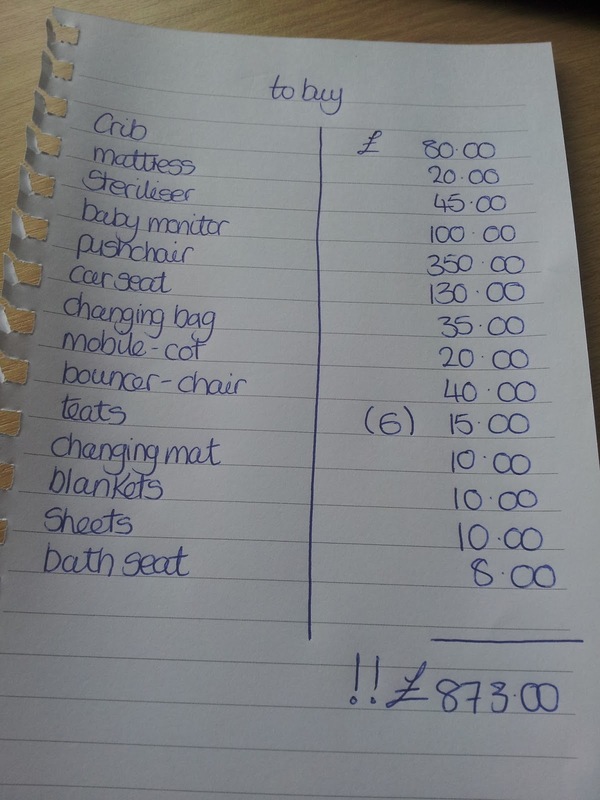 the first in my 'budgeting for' series.....having a baby on a budget is my experience of having a baby when money is very tight.